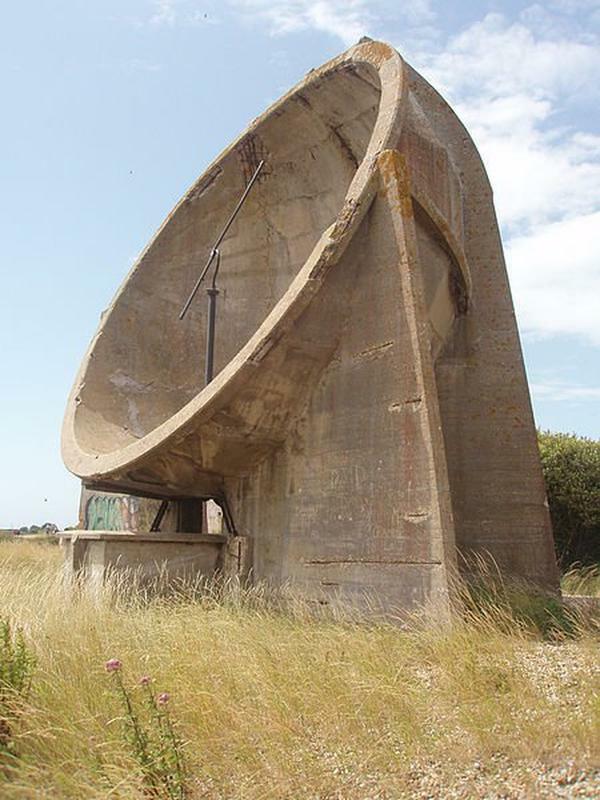 Before the invention of radars, acoustic mirrors were used in Great Britain as early warning devices. The mirrors were built to detect incoming enemies by the sound of their engines. 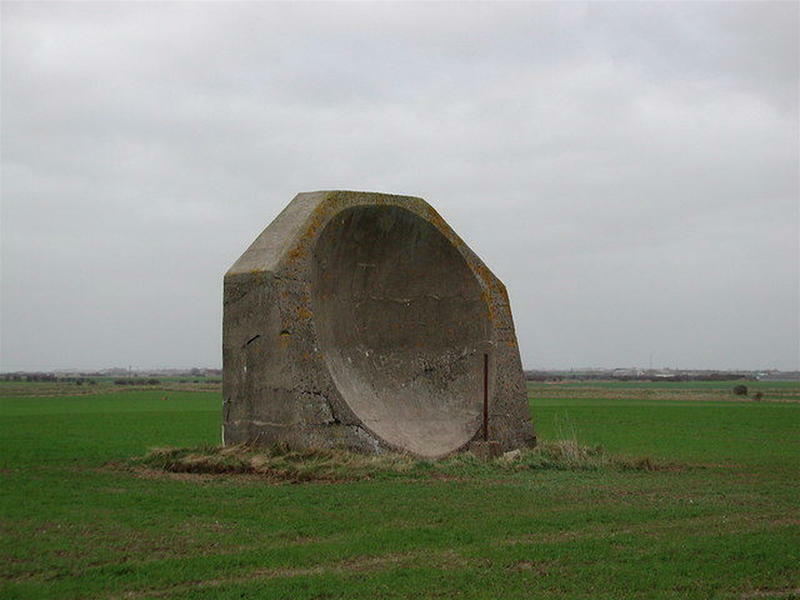 4.5-metre-high (14 ft 9 in) WW1 concrete acoustic mirror near Kilnsea Grange, East Yorkshire, UK. 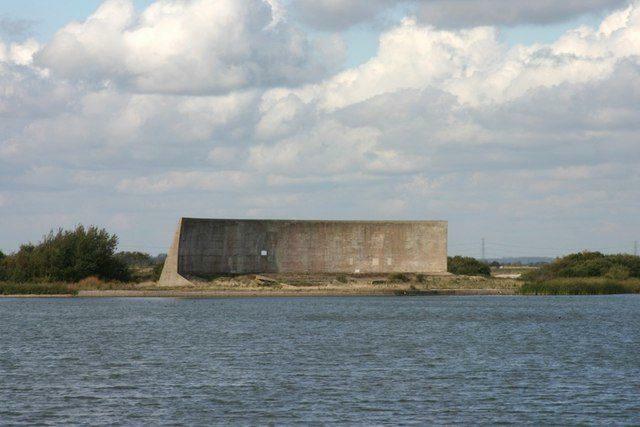 One of the most famous acoustic mirrors can be seen at the Denge on the Dungess peninsula and at Hythe in Kent. Other examples exist in other parts of Britain and Selsey Bill, and Baħar iċ-Ċagħaq in Malta. The Maltese sound mirror is known locally as “the ear” (il-Widna) and appears to be the only sound mirror built outside Great Britain. 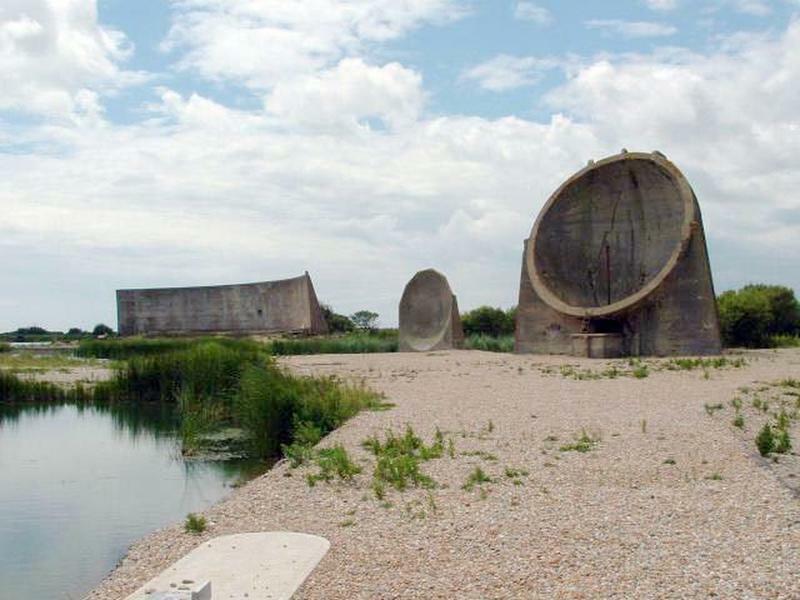 The Dungeness mirrors, known locally as the “listening ears”, consist of three large concrete reflectors built in the 1920s–1930s. Their experimental nature can be discerned by the different shapes of each of the three reflectors: one is a long, curved wall about 5 m (16 ft) high by 70 m (230 ft) long, while the other two are dish-shaped constructions approximately 4–5 m (13–16 ft) in diameter. Microphones were placed at the foci of the reflectors to enable the listener to detect the sound of aircraft far out over the English Channel. The reflectors are not parabolic, but are actually spherical mirrors. Spherical mirrors may be used for direction finding by moving the sensor rather than the mirror; another unusual example is the Arecibo Observatory. 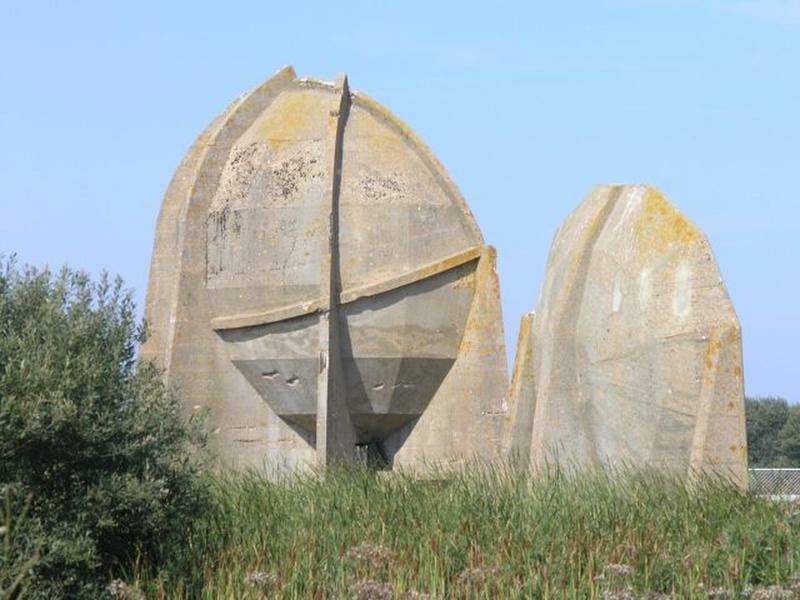 Acoustic mirrors had a limited effectiveness, and the increasing speed of aircraft in the 1930s meant that they would already be too close to deal with by the time they had been detected. The development of radar put an end to further experimentation with the technique. Nevertheless, there were long-lasting benefits. 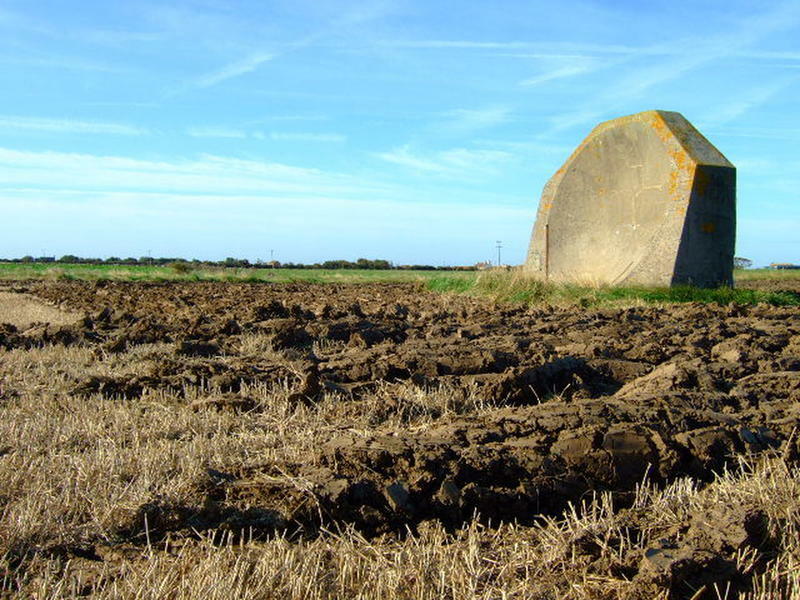 The acoustic mirror programme, led by Dr William Sansome Tucker, had given Britain the methodology to use interconnected stations to pin point the position of an enemy in the sky. The system they developed for linking the stations and plotting aircraft movements was given to the early radar team and contributed to their success in World War II; although the British radar was less sophisticated than the German system, the British system was used more successfully.